Well then, I'm The Dhel from Germany. I grew up with the Amiga, since my older brother and sister owned one! Hello, good sir! Glad to see you here! Pull up a chair; I'll make some coffee! I pretty much figured you were an Amiga guy from Twitter! If the subject came up, your ears perked up and you got pretty excited! LambdaCalculus wrote: Hello, good sir! Glad to see you here! Pull up a chair; I'll make some coffee! And yeah, whenever i hear Amiga i'm like "WAT WAT WAT WHERE WHERE!?" As said, i grew up with this machine and i still love it so so much! 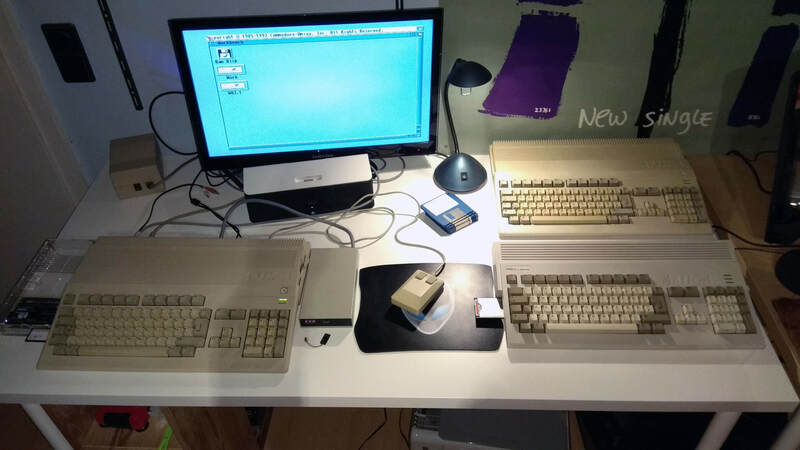 Upper right: A500, KS 1.2, no further modifications! As virgin as it gets. Very nice! So nice to see the Gotek in its own enclosure rather than pushed into the original floppy space. Sometimes that can look clean, but oftentimes it seems to be a bit of a hack job. I love your solution as a secondary drive. Do you ever run into issues with really old software that is seeking DF0: but your files are in DF1:? intric8 wrote: I love your solution as a secondary drive. Do you ever run into issues with really old software that is seeking DF0: but your files are in DF1:? Welcome - one of my favourite games came from Germany: Settlers. TenLeftFingers wrote: Welcome - one of my favourite games came from Germany: Settlers.